New Displays in the Children’s Room! 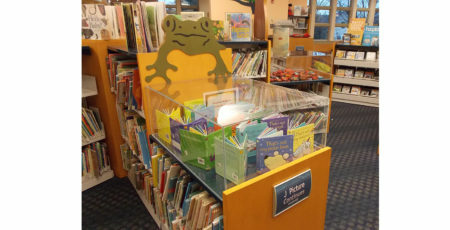 Thanks to The Friends of the Larchmont Public Library, our Children’s Room has brand-new display cases! These are especially appreciated as our previous display cases had really worn out. The new display cases are available for children to display art, things they collect or other special items. To find out how your child can display their items, stop by the Information Desk in the Children’s Room.